This ad appeared in the December 1892 issue of the Deutsche Jäger Zeitung. 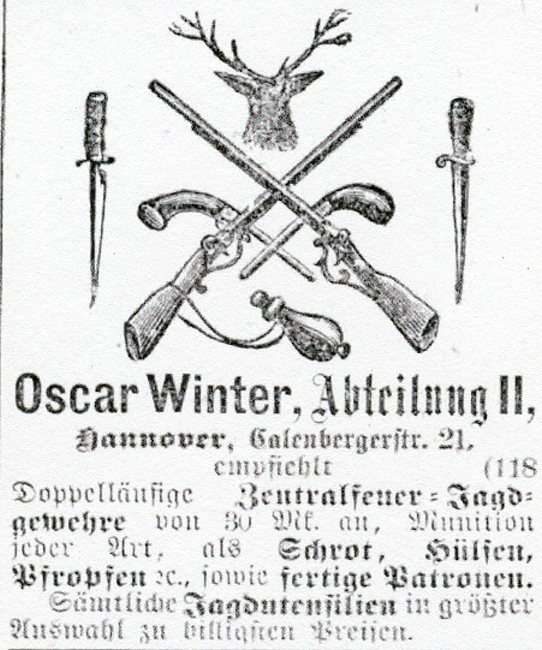 The Oscar Winter firm of Hannover was not a gun maker but a dealer or retailer. No other information is available at this time. 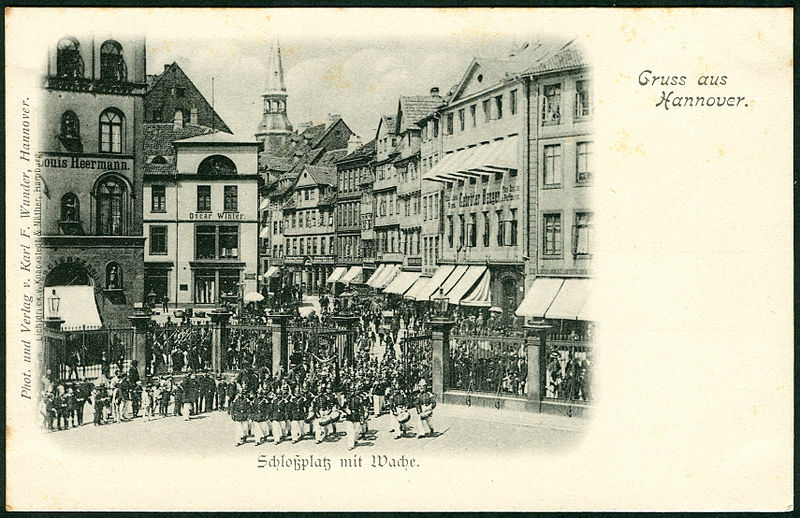 In the above image to the left of center can be seen the building occupied by the Oscar Winter firm with the Oscar Winter Brunnen (Fountain) in the foreground. 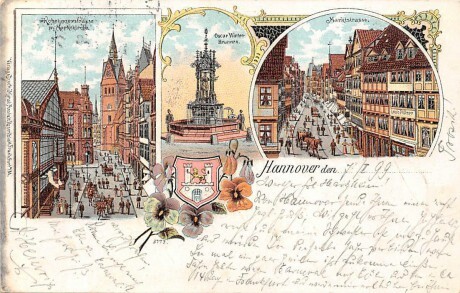 The post card below shows the Oscar Winter Brunnen in the center. 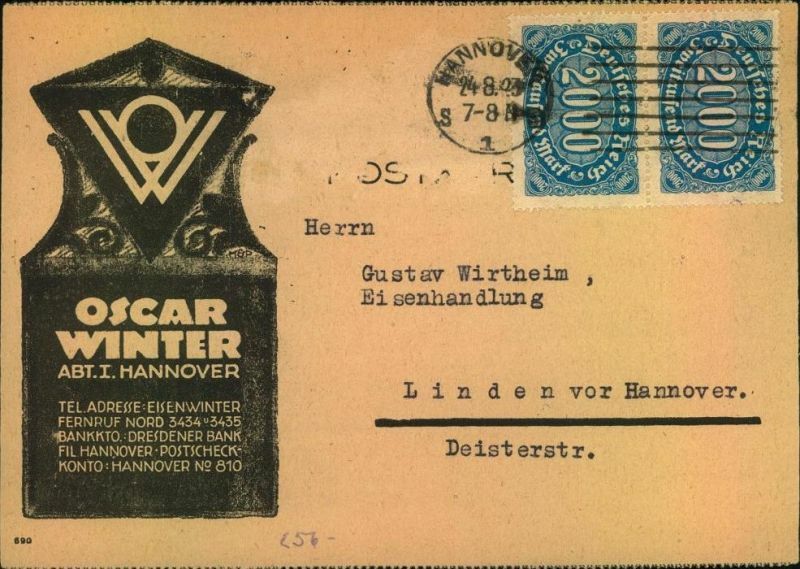 A postcard from 1933 for the Oscar Winter firm.